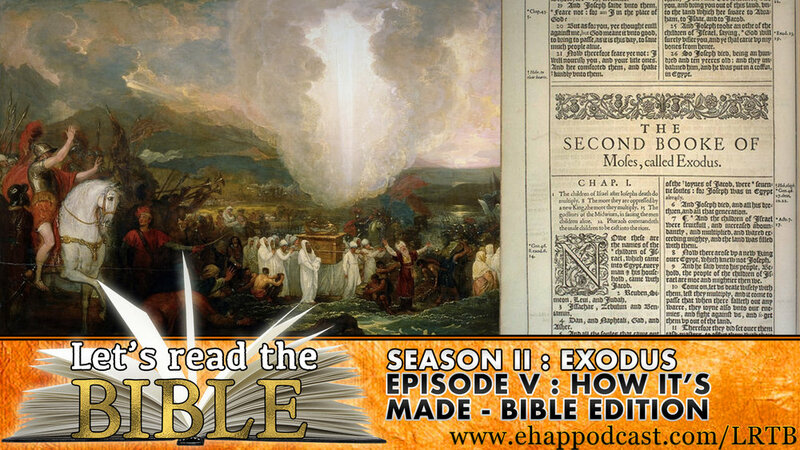 This week covers Exodus chapters 21 - 26. God demands construction of the Ark of the Covenant in excruciating detail. Let’s Read the Bible is a serial podcast based out of Alberta, Canada, and is hosted by Adam Boutilier and Bryon Redknap—neither of which are experts in theology. Any and all feedback is welcomed. Questions or concerns can be directed via email to ehappodcast@gmail.com or on Twitter @LRTBpodcast. If you enjoy the show please tell a friend or submit a review via Apple Podcasts. Episode I: Dam the River with Babies!